Wow, what a fabulous lock, awesome!!! 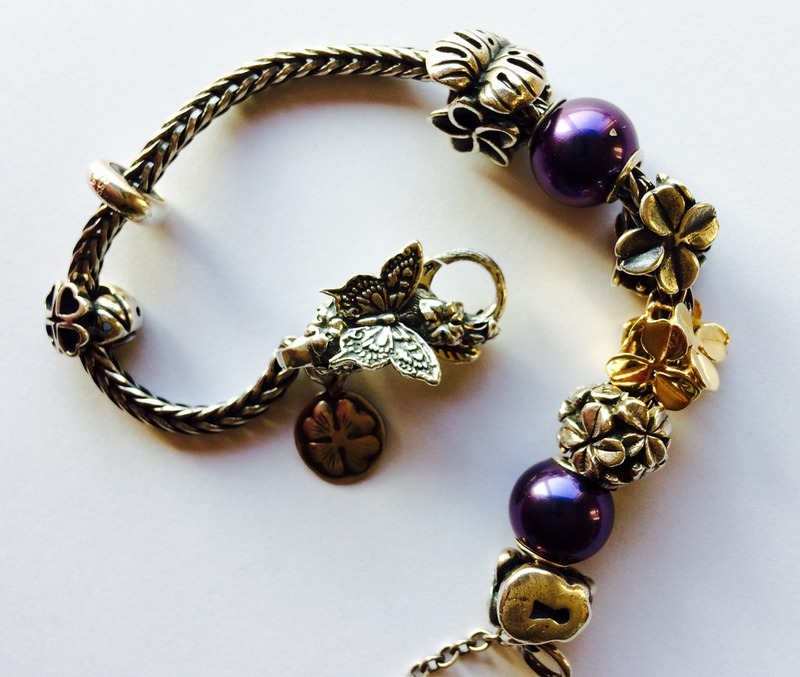 Gorgeous lucky bracelet! Thank you! congratulations! what a beautiful bracelet. it looks very meaningful, especially w/the unexpected touch of the love lock there amongst the clovers, butterflies, and ladybirds. TFS! can feel the luck. Gorgeous - fabulous peacock pearls too! Very pretty lock and great with the clover "garden"! What great theming! I am trying to design combinations based on themes at the moment instead of just thinking 'those look nice together', and this is super inspiration.